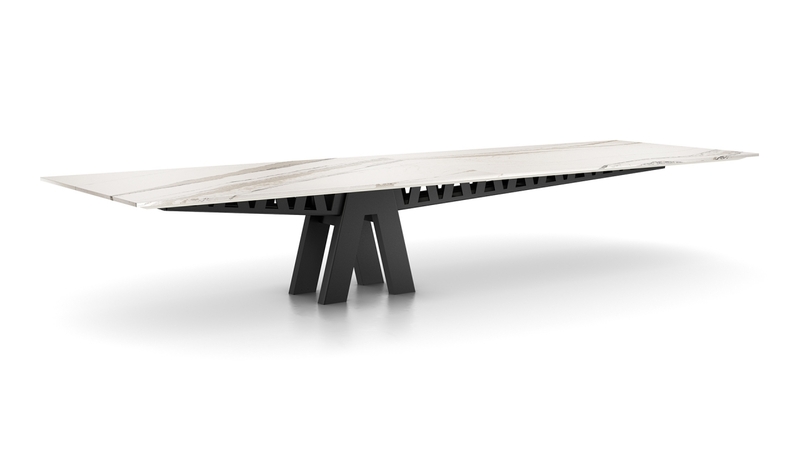 Equilibrium establishes an incredible span of aesthetic possibilities. A single base, centered or offset, can support a 20 foot long surface creating the illusion that it’s floating. Unimpeded knee space is enjoyed at every position around the table, and technology is integrated seamlessly through the base and cantilever under structure. Round tables up to 120″ are also available. Pricing includes a standard laminate 3mm top and Equilibrium Base and Cantilever structure in standard finishes. Power, voice, and data options are available, but not included. $21,289 Manufacturer: Enwork Lead Time: 5	- 7	weeks Size: 48" x 120"